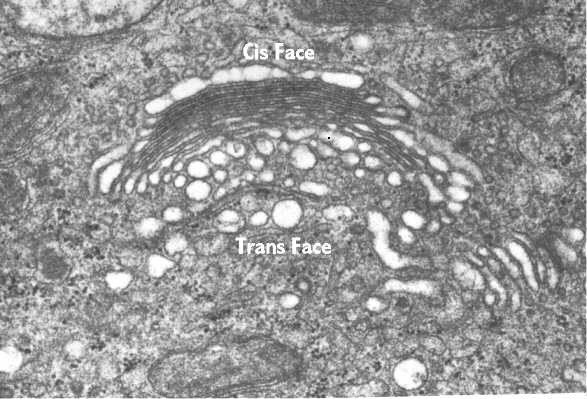 Transmission Electron Micrograph of Golgi Complex- Gwen V. Childs, Ph.D. . (1996 ). Golgi Complex: Structure and Function. Available: http://www.cytochemistry.net/cell-biology/golgi.htm. Last accessed 10 March 2012. Simple Diagram of the Golgi Complex- Michael W Davidson. (2012). Cell Organelles. West Kentucky University Available: http://bioweb.wku.edu/courses/biol22000/11Organelles/Fig.html . Last accessed 10 March 2012. The golgi complex looks like a stack of cup shaped flatten membrane bound sacs and are associated with vesicles and secretory cells. Many believe that the gogi bodies are just for the secretion of substance to the out side of the cell however it plays a far greater role. The golgi complex is not only involved in protein synthesis (concentrating, modification, packaging, sorting and release of proteins after they arrive from the Rough ER) but it also synthesises glycolipids and glycoproteins (found on plasma membrane) and pakages lipids from the Smooth ER. 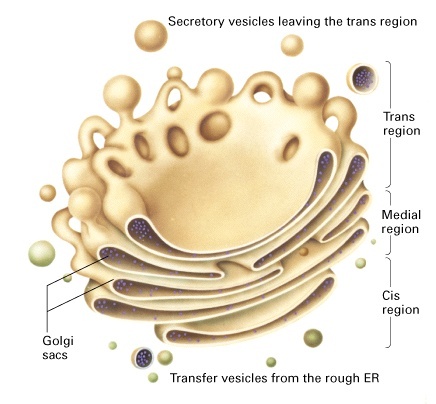 The golgi complex is also involved in the distribution of vesicle to other organelles within the cell. As seen in the images to the left the golgi complex is made of three parts the Trans, Medial and Cis. The Cis or inner face is directed towards the Endoplasmic Reticulum, and the other side, trans or outer face, is directed toward the plasma membrane. Vesicles also be frequently be seen around the complex. So reffering back to the Shops(ribosomes), the products(protein) that we bought need to be taken out of the airport and to do this they need to be packaged and taken to the golgi complex, therefore we place them in a vesicle(suit case). 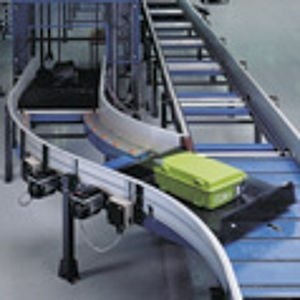 These suitcases are then placed into a baggage handling system(golgi complex) where they are sorted, labelled and modified if they have to. From here our products are then put onto planes(another vesicle) and are taken out of the airport.